The spread of Islam across Western Asia and North Africa encouraged an unprecedented growth in trade and travel by land and sea as far away as Southeast Asia, China, much of Africa, Scandinavia and even Iceland. Geographers worked to compile increasingly accurate maps of the known world, starting from many existing but fragmentary sources. Abu Zayd al-Balkhi (850–934), founder of the Balkhī school of cartography in Baghdad, wrote an atlas called Figures of the Regions (Suwar al-aqalim).Al-Biruni (973–1048) measured the radius of the earth using a new method. It involved observing the height of a mountain at Nandana (now in Pakistan). Al-Idrisi (1100–1166) drew a map of the world for Roger, the Norman King of Sicily (ruled 1105-1154). He also wrote the Tabula Rogeriana (Book of Roger), a geographic study of the peoples, climates, resources and industries of the whole of the world known at that time. The Ottoman admiral Piri Reis (c. 1470–1553) made a map of the New World and West Africa in 1513. 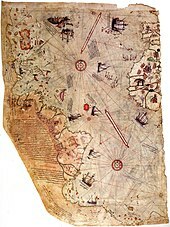 He made use of maps from Greece, Portugal, Muslim sources, and perhaps one made by Christopher Columbus. He represented a part of a major tradition of Ottoman cartography. Al-Khwarizmi (8th–9th centuries) was instrumental in the adoption of the Hindu-Arabic numeral system and the development of algebra, introduced methods of simplifying equations, and used Euclidean geometry in his proofs. He was the first to treat algebra as an independent discipline in its own right, and presented the first systematic solution of linear and quadratic equations. 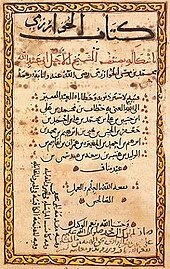 :14Ibn Ishaq al-Kindi (801–873) worked on cryptography for the Abbasid Caliphate, and gave the first known recorded explanation of cryptanalysis and the first description of the method of frequency analysis.Avicenna (c. 980–1037) contributed to mathematical techniques such as casting out nines. Thābit ibn Qurra (835–901) calculated the solution to a chessboard problem involving an exponential series.Al-Farabi (c. 870–950) attempted to describe, geometrically, the repeating patterns popular in Islamic decorative motifs in his book Spiritual Crafts and Natural Secrets in the Details of Geometrical Figures. Omar Khayyam (1048–1131), known in the West as a poet, calculated the length of the year to within 5 decimal places. He found geometric solutions to all 13 forms of cubic equations. He developed some quadratic equations still in use. 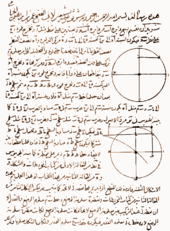 Jamshīd al-Kāshī (c. 1380–1429) is credited with several theorems of trigonometry, including the law of cosines, also known as Al-Kashi's Theorem. He has been credited with the invention of decimal fractions, and with a method like Horner's to calculate roots. He calculated π correctly to 17 significant figures. Islamic society paid careful attention to medicine, following a hadith enjoining the preservation of good health. Its physicians inherited knowledge and traditional medical beliefs from the civilisations of classical Greece, Rome, Syria, Persia and India. 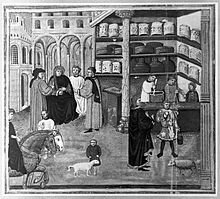 These included the writings of Hippocrates such as on the theory of the four humours, and the theories of Galen. al-Razi (c. 854–925/935) identified smallpox and measles, and recognized fever as a part of the body's defenses. He wrote a 23-volume compendium of Chinese, Indian, Persian, Syriac and Greek medicine. 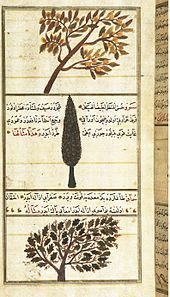 al-Razi questioned the classical Greek medical theory of how the four humours regulate life processes. 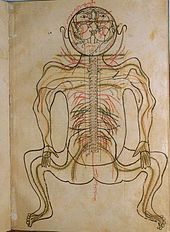 He challenged Galen's work on several fronts, including the treatment of bloodletting, arguing that it was effective.al-Zahrawi (936–1013) was a surgeon whose most important surviving work is referred to as al-Tasrif (Medical Knowledge). It is a 30-volume set mainly discussing medical symptoms, treatments, and pharmacology. The last volume, on surgery, describes surgical instruments, supplies, and pioneering procedures. Avicenna (c. 980–1037) wrote the major medical textbook, The Canon of Medicine. Ibn al-Nafis (1213–1288) wrote an influential book on medicine; it is believed[by whom?] to have replaced Avicenna's Canon in the Islamic world. He wrote commentaries on Galen and on Avicenna's works. One of these commentaries, discovered in 1924, described the circulation of blood through the lungs. Optics developed rapidly in this period. 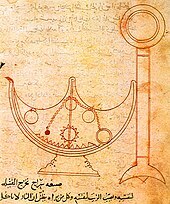 By the ninth century, there were works on physiological, geometrical and physical optics. Topics covered included mirror reflection. 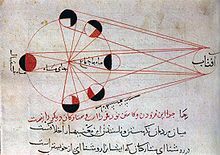 Hunayn ibn Ishaq (809–873) wrote the book Ten Treatises on the Eye; this remained influential in the West until the 17th century.Abbas ibn Firnas (810–887) developed lenses for magnification and the improvement of vision.Ibn Sahl (c. 940–1000) discovered the law of refraction known as Snell's law. He used the law to produce the first Aspheric lenses that focused light without geometric aberrations.